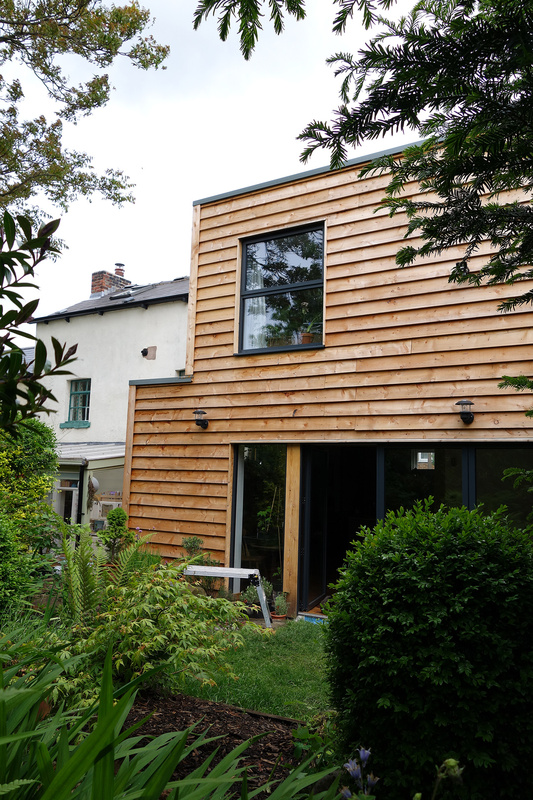 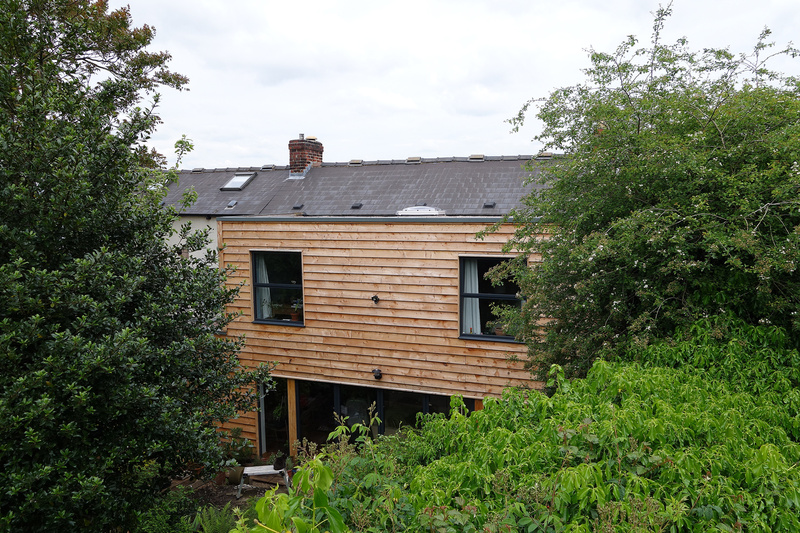 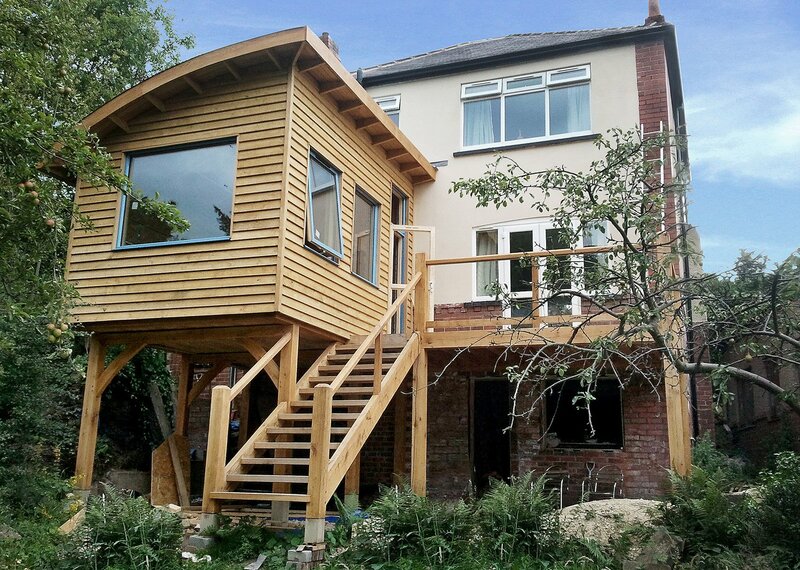 This super warm two story eco extension was built locally for a customer who was looking to sustainably and efficiently double the size of their house. 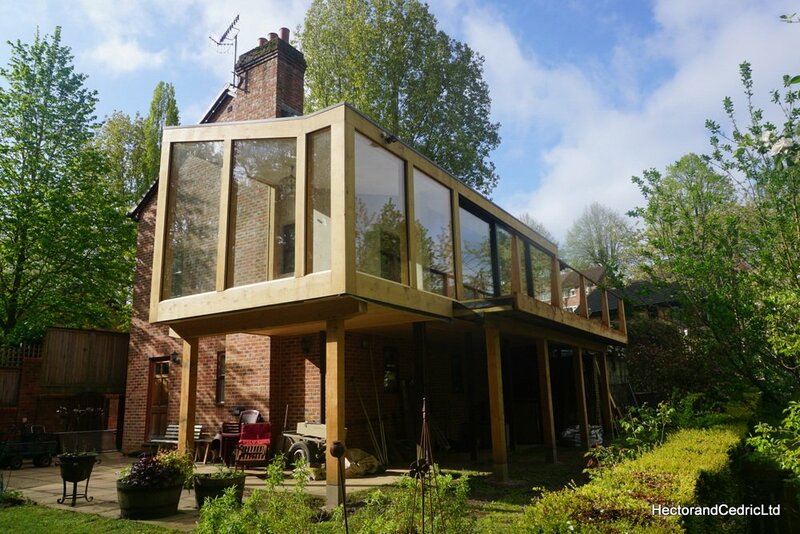 Knocking through and opening into the new extension created a modern, bright and open plan living space, with under floor heating and large bifold doors that open fully bringing the garden into the living area. 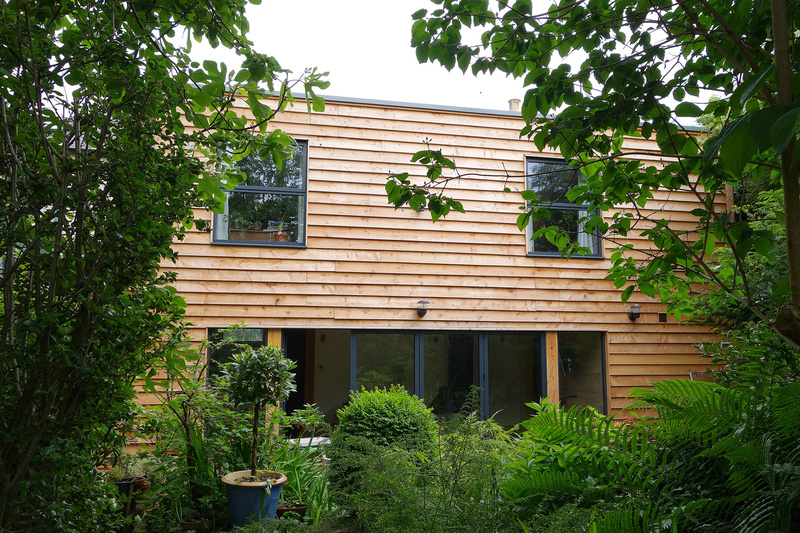 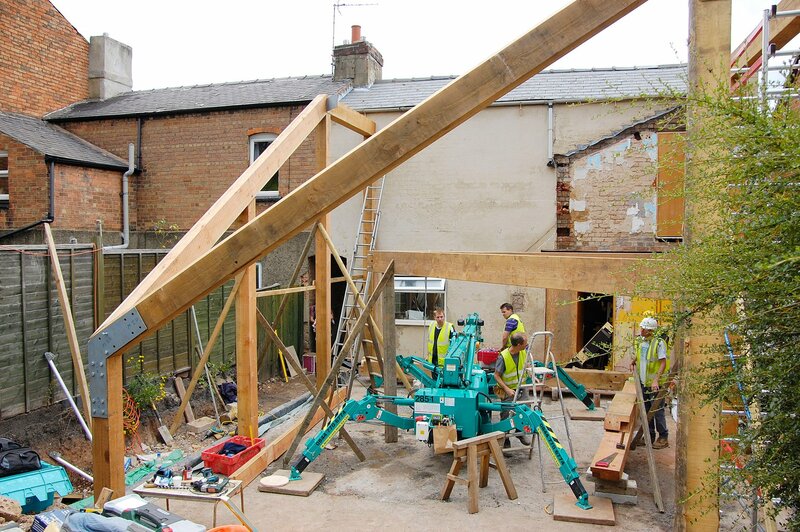 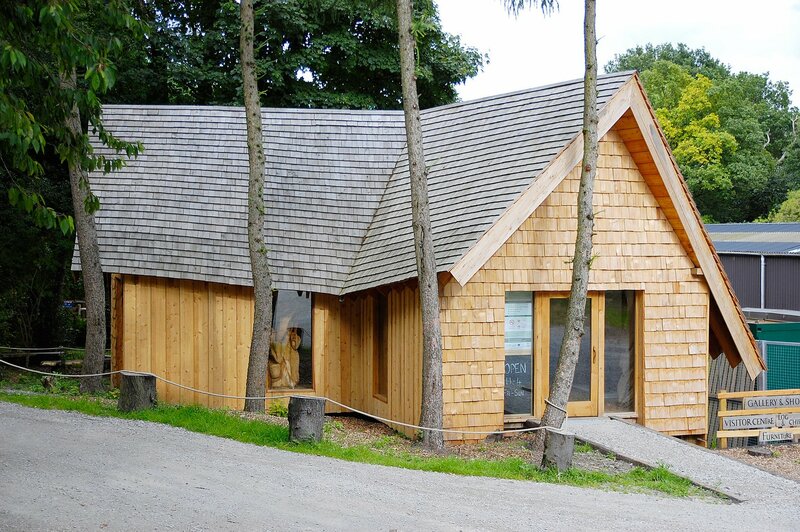 These buildings are built with modern and efficient methods using sustainable materials; we can design and make extensions and houses to suit all kinds of specifications and budgets.